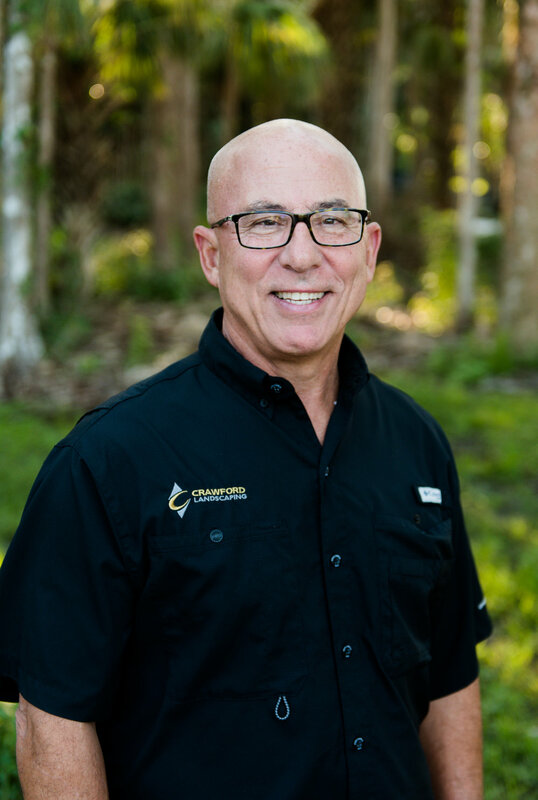 Shawn has over 35 years’ experience, including 15 of years serving as CFO with privately held companies in Ohio, Missouri and Tennessee and most recently was the Director of Finance / Mergers & Acquisitions for a family business in Naples. "Shawn and I have similar backgrounds in lean manufacturing and share a passion for continuous improvement," adds Blake Crawford. "Shawn's has the unique ability to connect financial reporting with operations in a way that adds significant value to Crawford Landscaping and our clients." He and his wife, Wanda, are originally from Bowling Green, Ohio where they both attended Bowling Green State University and Shawn earned his degree in Accounting. He also has an MBA from the University of Wyoming with a specialization in Information Systems Management. Lastly, Shawn is a CPA. Shawn and Wanda have two children, their son, Dan, lives in Brooklyn, NY and their daughter, Jamie, lives in Los Angeles.